If you are going to restrict access from the public, then you need to have access in the first place. 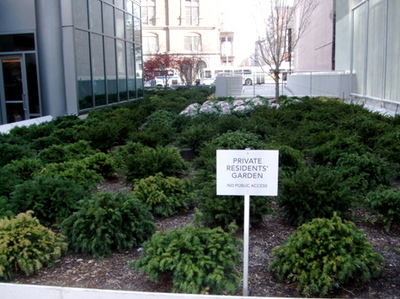 The 'garden in question is not accessible to the residents; there is no pathway through it. Therefore you are restricting access to the public to something that doesn't have access in the first place." Via the fellow Sculpture For Living hatahs Curbed.